The Shelley Antecol soy candles create a sense of welcome. Candles create a sense of welcome with our soy candles. Soothe your senses within the glow of Shelley Antecol sophisticated and beautiful soy candles. When a candle is lit, the world slows to a gentle peaceful pace. 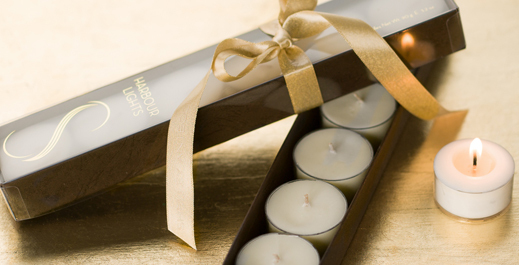 Our custom, paraffin-free candles will welcome your guests and clientele with unspoken grace and subtle elegance. Whether in a room, the spa or boutique, each leaves an emotional impression on all who receive them. Candles can be customized to your preference with fragrance, logo or design embellishment, gift box, ribbon and containers. Each design is available fragrance free. Shelley Antecol candles offer museum-quality cleanliness, meaning they do not emit harmful substances into the environment or the homes of our clients. Our paraffin-free candles are made from soy wax with 100% cotton wicks. At first sight, our customers recognize the quality and intricate details of each design and this is enhanced by custom luxurious packaging and containers. We welcome the opportunity to deliver excellence for your next project in providing outstanding paraffin-free candles for your guests and clientele.